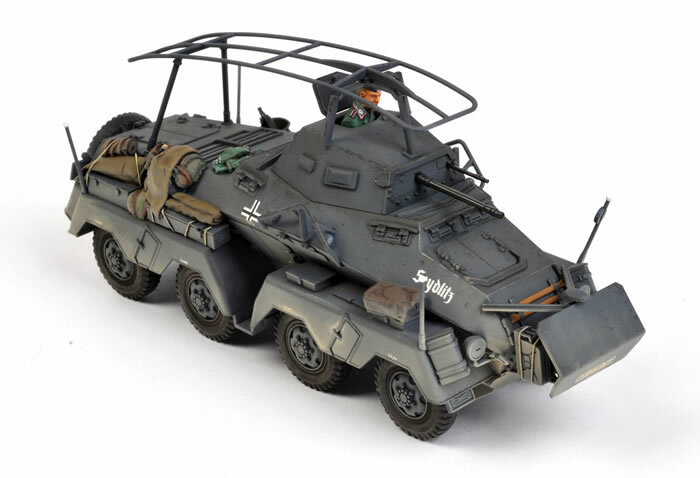 Here is my new 1/48 scale Tamiya Sd.Kfz.232 8-Rad heavy armoured car. I posted an in-box review of this kit on Missing-Lynx a few weeks ago. As you'd expect from Tamiya, construction was viceless and fit was perfect. 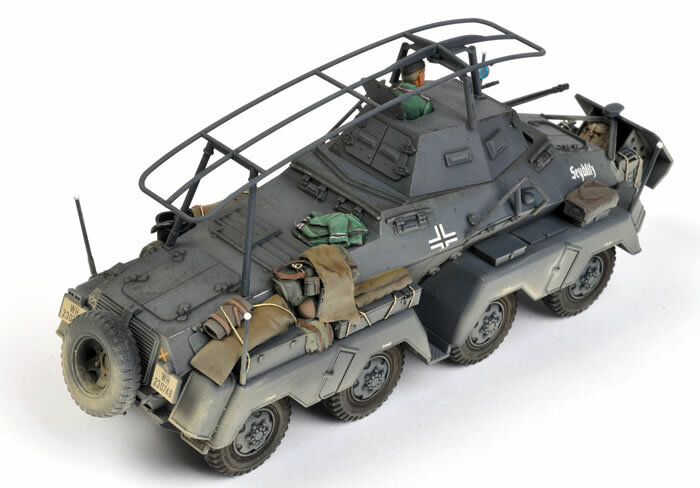 The model itself was built straight from the box, but I added some stowage from three Plus Model 1/48 scale accessory sets and also a couple of items from Black Dog's Sd.Kfz.250/3 accessory set. Packs and tarps were formed from Kneadatite Yellow-Blue Epoxy Putty Tape; and the Commander is taken from a 1/48 scale Gaso.Line German tank crew set. 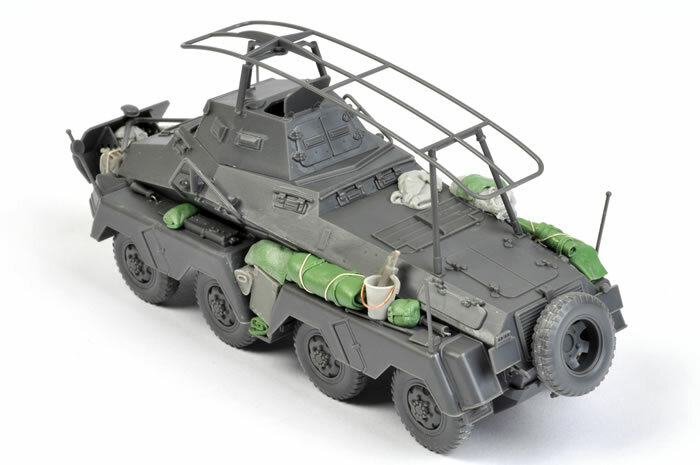 This model will feature in a detailed construction article in Issue 84 of Model Military International magazine. 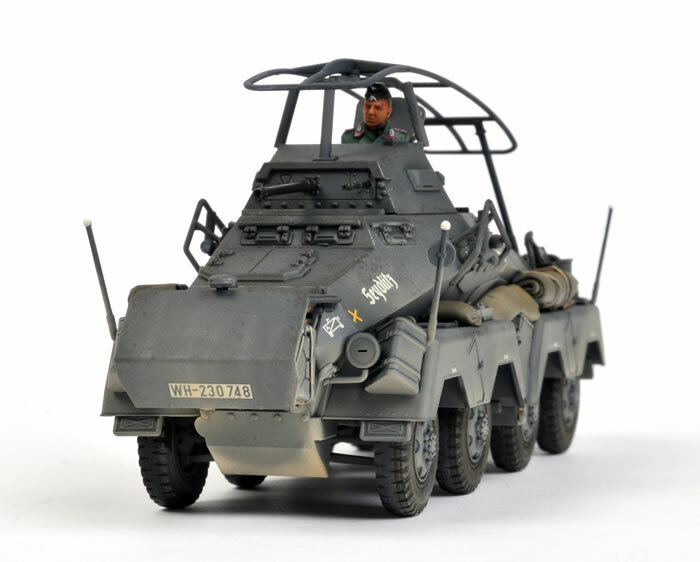 This issue also includes Bruce Culver's "Think Tank" reference piece on German armoured car development.